• "I enjoyed every moment of this one"
As a kid, he played golf with branches that he cut from trees and fashioned into golf clubs. 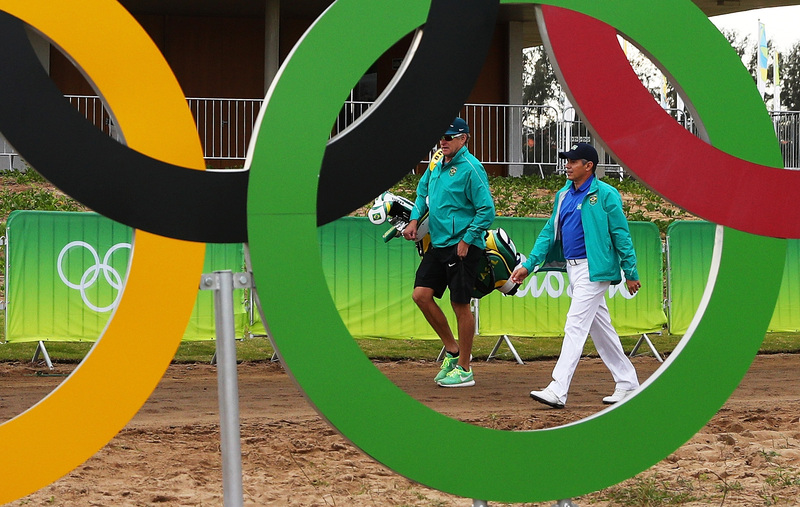 Today, as a 44-year-old, in his native Brazil, he hit golf’s first shot in the Olympic Games in over a century. No wonder Adilson da Silva described this particular Thursday as ‘very special’. The lone Brazilian amongst the 60 players that comprise the men’s golf tournament in Rio – he got in due to the IOC’s mandate that the host nation be represented in every sport – da Silva strode onto the first tee shortly before 7.30am local time this morning (11.30am UK) to huge cheers from an admittedly sparse crowd. He smiled and waved down the camera lens to millions of viewers around the globe, shook the hands of his playing partners – Canada’s Graham DeLaet and Byeong Hun An of South Korea – and pegged up his ball. In a glorious white blur, his ball flew down the fairway. Just like that, and after an interminably long, contentious build-up, golf was back in the Olympics. But none of that seemed to matter to da Silva. He was just glad to get his shot away. “I had to really push myself hard, hard, hard and think about it,” he said after his round thinking back to the first tee. “I couldn't say I wasn't nervous because I was nervous but, at the same time, I still needed to hit a good shot. After five straight pars to open his round, da Silva bogeyed the par-3 sixth but rallied with a birdie at the ninth to reach the turn in level-par. His back nine was slightly more eventful. He followed-up his birdie on nine with another on ten to get briefly under-par. However, bogeys at 11, 13 and 15 saw him slip to two-over. Still, he finished in style, picking up another shot at the final hole to finish on one-over and in a tie for 34th. All in all, a decent day’s work on the most unique of working days. He admitted that the occasion got to him a little. Understandably so. “It's difficult sometimes to just do it and get into it and forget everything else,” he said. It’s even harder when you’ve got the eyes of the world and the hopes of a nation resting on you. “The thing is, if you're not concentrating, if you don't get into the game, you do feel more pressurised to perform and stuff,” he added. “I think once I commit, I just do it. And not a tree branch in sight. Born on January 24, 1972, in Santa Cruz do Sul, Adilson da Silva turned pro in 1994. He has competed mainly on the Sunshine Tour in South Africa, where he has won 12 times and holds the record for most consecutive cuts made with 43. He has played in three Open Championships, most recently in 2012 where he finished in a tie for 69th.